Sprouts offer a myriad of health benefits. They are high in fiber and vitamins, but this is not the main reason why they are so good for weight loss. Read on to find out how eating sprouts helps you lose weight. In simple words, sprouted foods are all seeds, including seeds like flax, quinoa, and chia; whole grains like corn, oats, wheat, rice, and barley; nuts like almonds, walnuts, and cashews; and pulses like chickpeas, peas, and lentils. Being high in nutrients, sprouts are also one of the best food options to help you lose weight. They are high in fiber and vitamins, and at the same time, contribute a negligible number of calories to your diet. Hence, you can eat sprouts without worrying about calories. Furthermore, sprouts also inhibit the release of ghrelin, a hunger hormone that sends signals to your brain to eat more often. Therefore, when we decrease ghrelin, we keep hunger at bay. 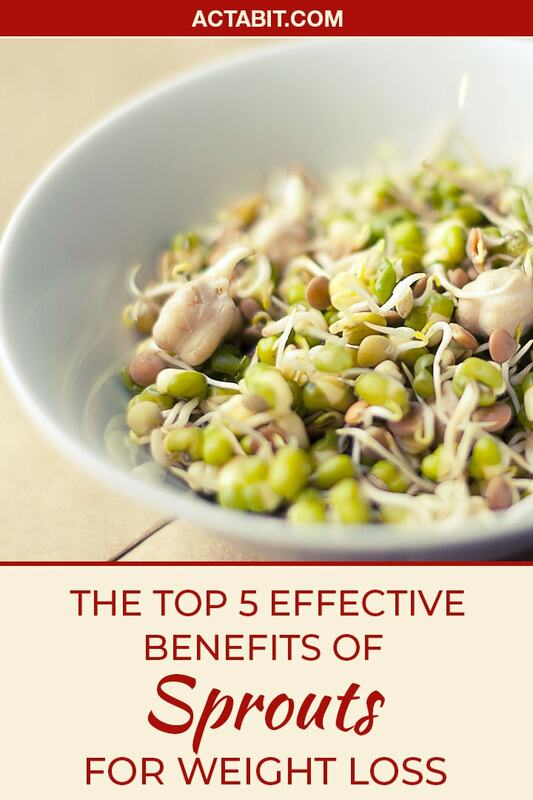 Here are the top five reasons why sprouted food must be an essential part of your weight loss diet. When you soak seeds for sprouting, the proteins change during the process, in turn, improving the nutritional value of the seeds. For instance, amino acid (lysine), one of the crucial amino acids that prevents cold sores and boosts immune system, is activated during sprouting. Eating sprouts helps you increase your protein intake. Sprouts are much better source of protein then meat because sprouts do not contribute saturated fat, cholesterol and excess calories to your diet. You can prepare a quick snack by glazing sprouts with Indian mint chutney, cilantro chutney or mango ginger chutney to stop hunger pangs. Sprouts are rich in vitamin A, B-complex, C, and E. The vitamin content of seeds increases greatly when they are sprouted. You can replace the stuffing in spring rolls and crepes with sprouted lentils to make them healthier. Serve these delicacies with chutney, tomato goji chutney or goji berry chutney to tease the taste buds. Importantly, sprouts contain chlorophyll, a component that cleanses and oxygenates your body. Additionally, the enzymes present in sprouts improve digestion of nutrients, while the fiber content helps to regulate the blood cholesterol levels. Together, these qualities of sprouted seeds help to detoxify the body, and this, in turn, promotes weight loss. Sprouts have a high vitamin C content that makes them a powerful stimulant for the white blood cells in the body, which helps to fight off infections and diseases and builds your immunity system. Prepare side dishes for meals with sprouted chickpeas and lentils tossed in tamarind chutney to increase the nutrition content of your meals. Most people are deficient in essential fatty acids because they are not common in the diet. Eating more sprouts is an easy way to get some of these crucial nutrients. Try organic khichri with sprouted lentils. Some of the popular choices for a khichri that aid weight loss include sprouted mung beans khichri, masala khichdi, millet khichri or quinoa khichri. During sprouting, minerals (especially alkaline minerals like calcium and magnesium) bind to the protein to form compounds that are easy to absorb by the body. The high amount of enzymes present in the sprouted seeds makes these compounds easy to digest. Add flavor to sprouts with date and tamarind chutney, ginger chutney or mint chutney. Adding sprouts to your diet is one of the easiest changes that can help you lose weight.